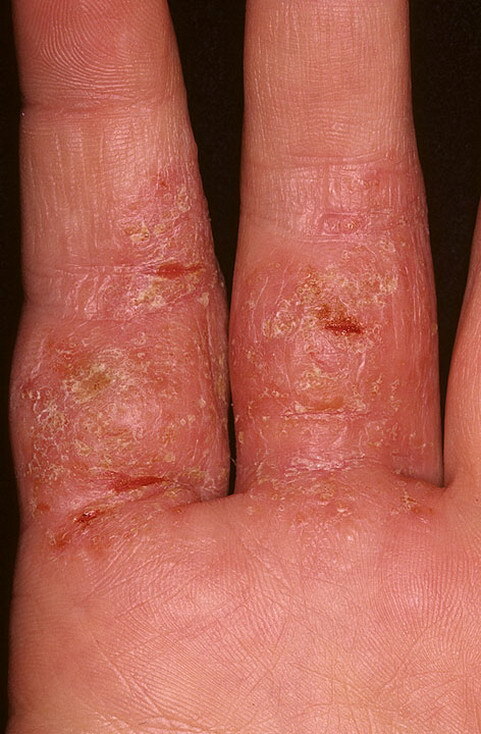 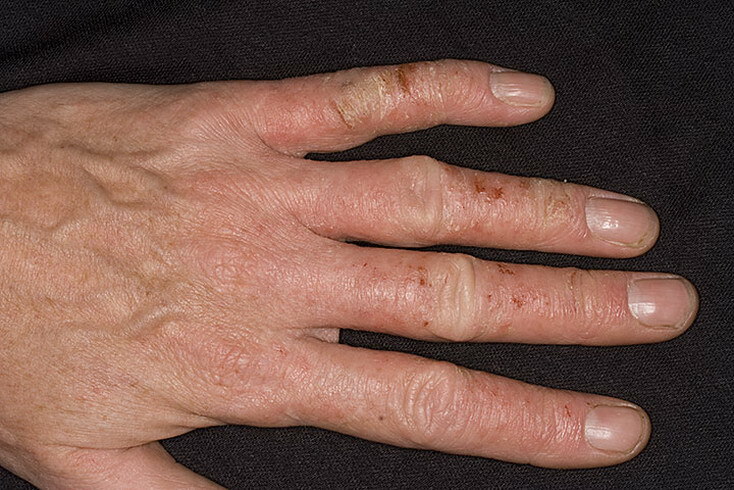 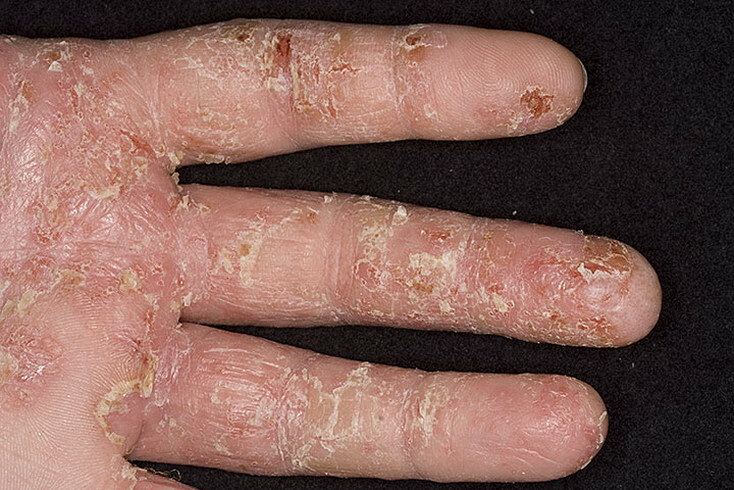 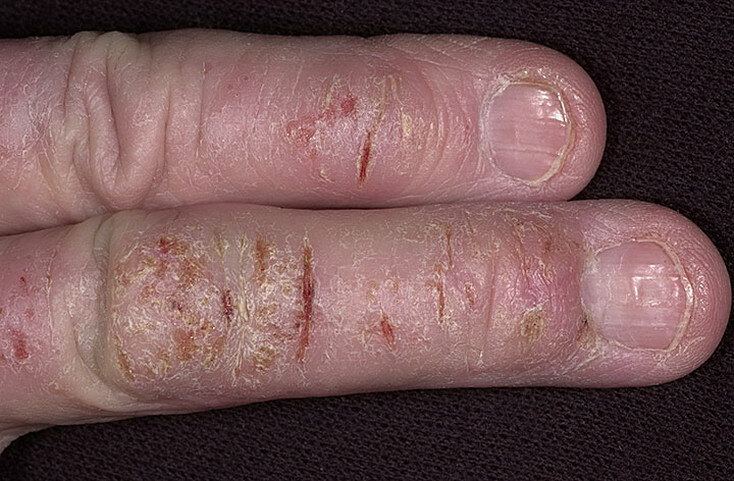 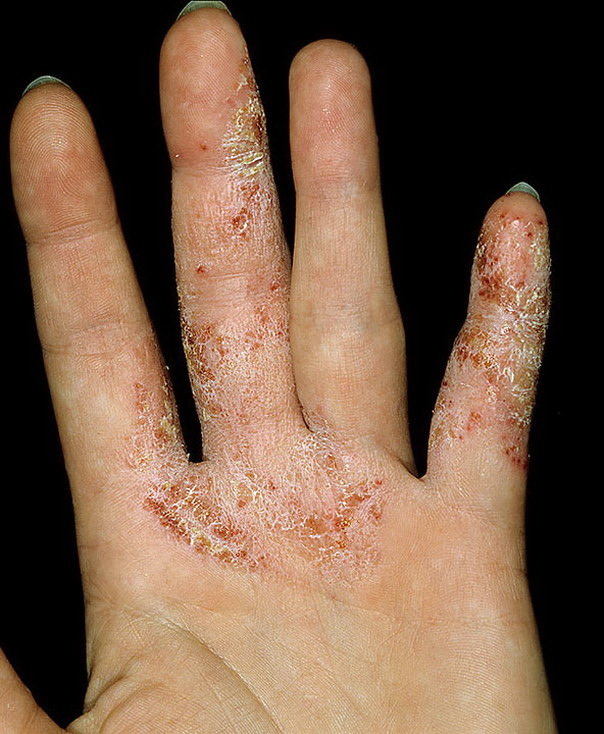 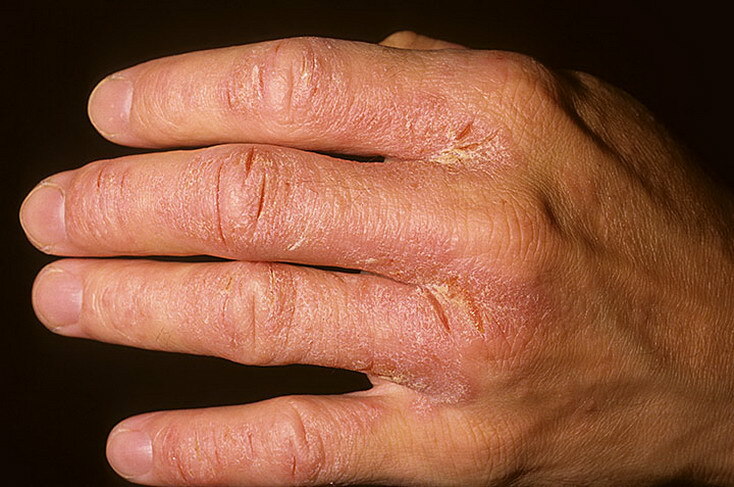 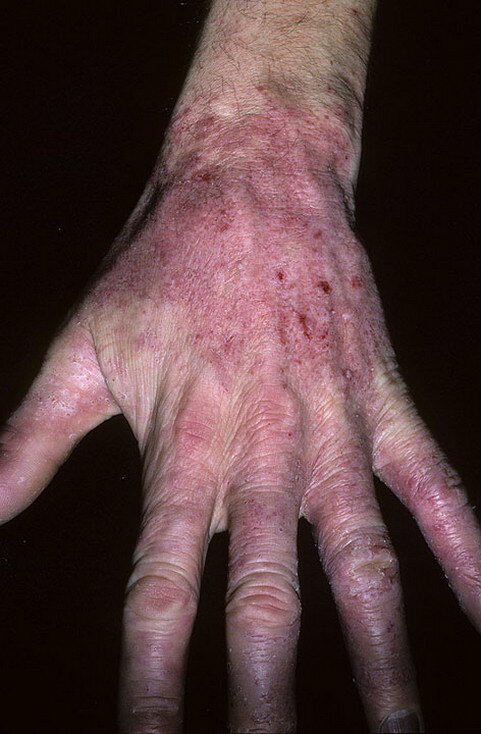 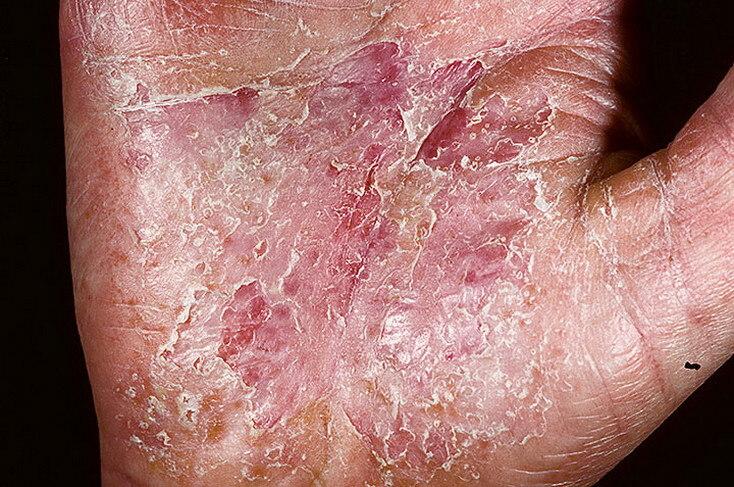 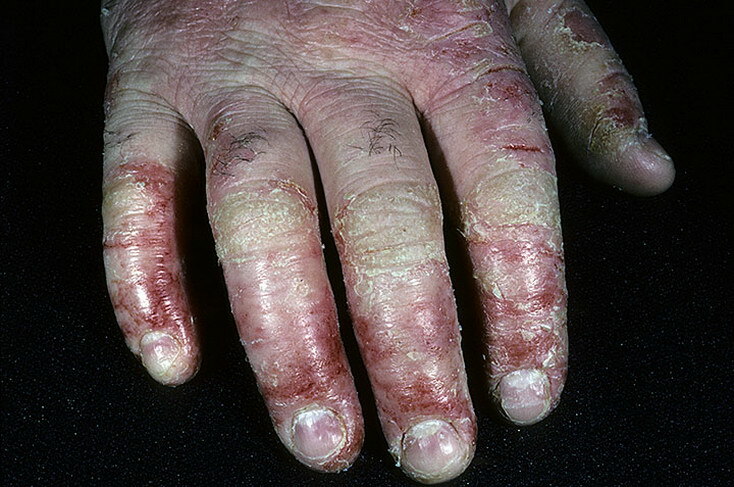 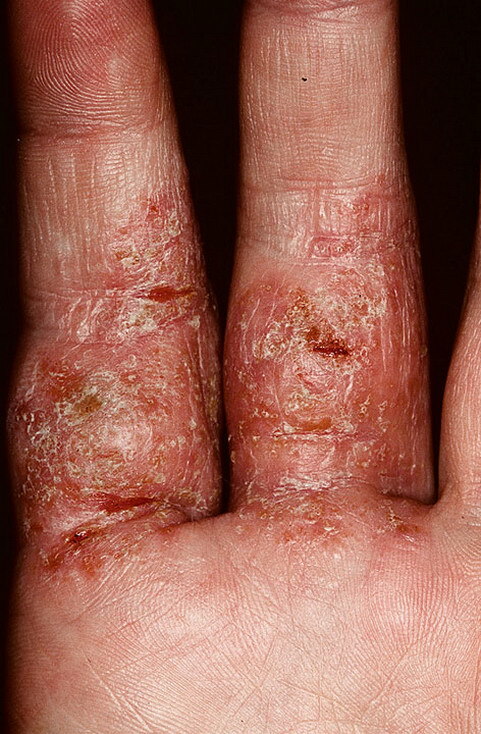 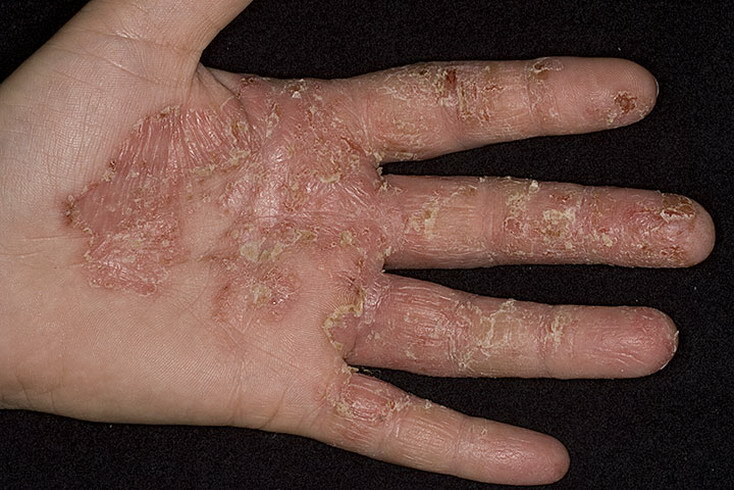 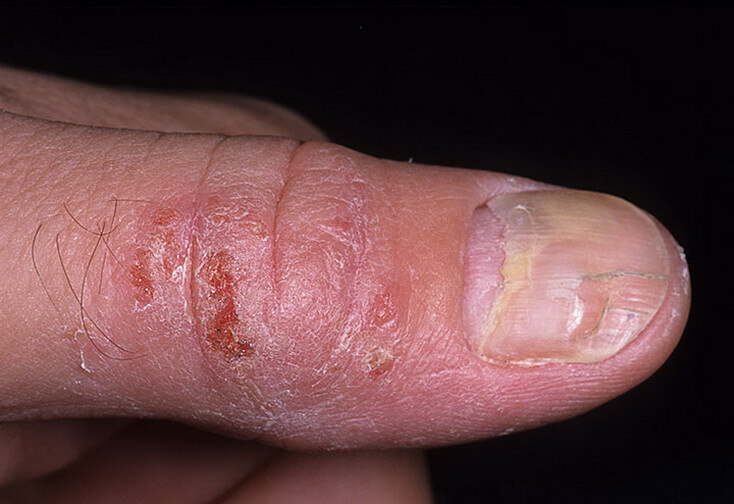 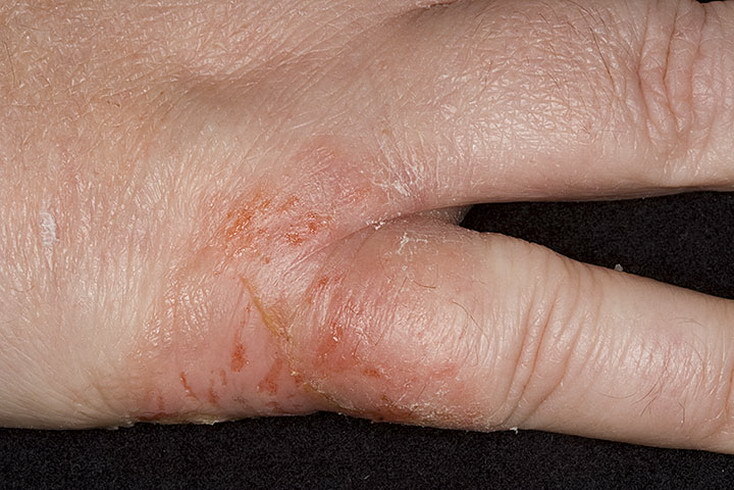 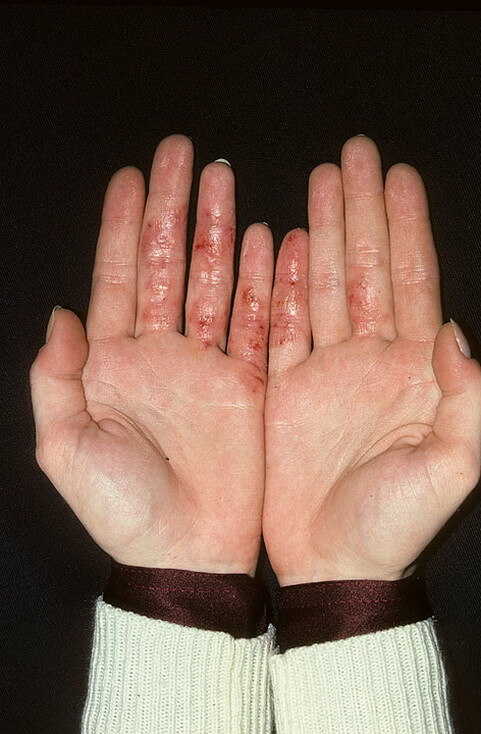 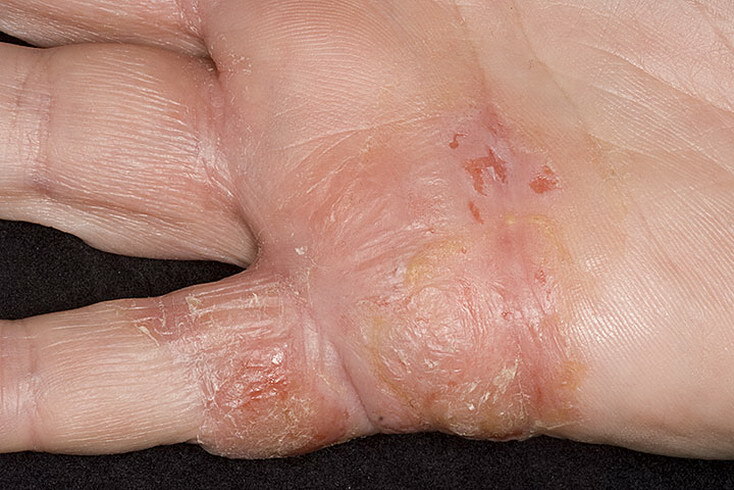 Eczema, also called atopic dermatitis, is a chronic condition that causes inflammation and itching of your skin. 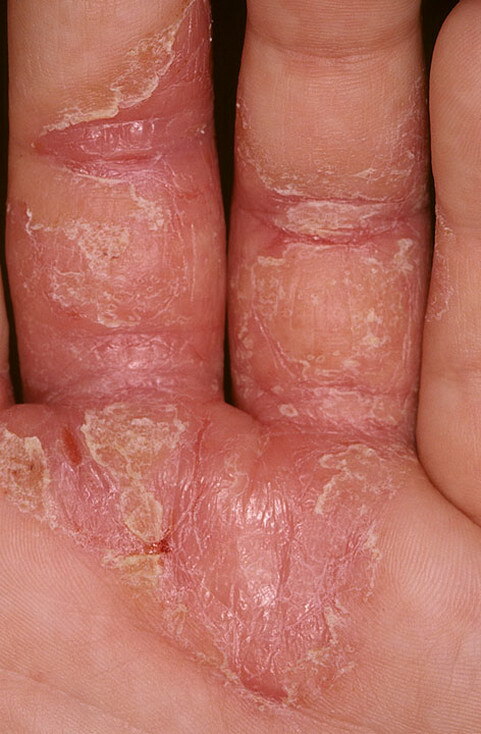 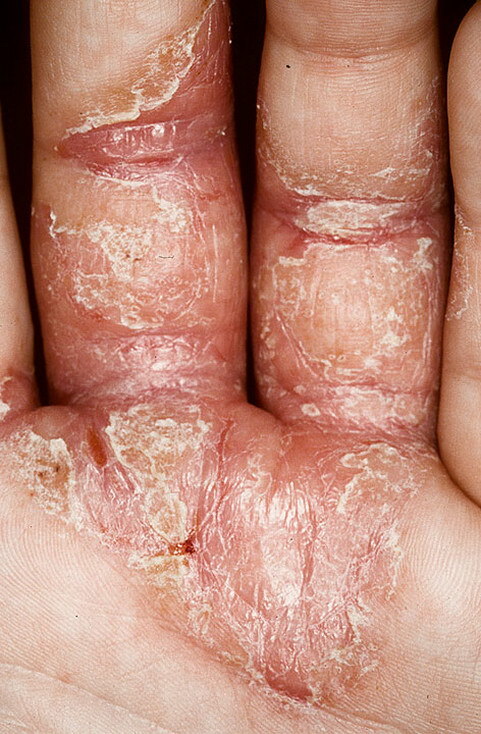 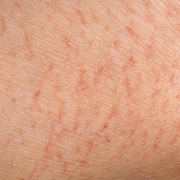 Sometimes, there is blistering and oozing, called weeping eczema or wet eczema. 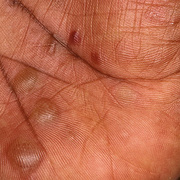 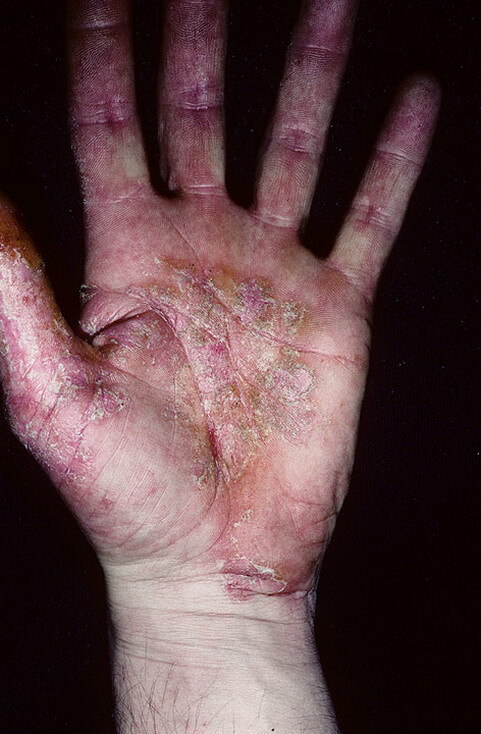 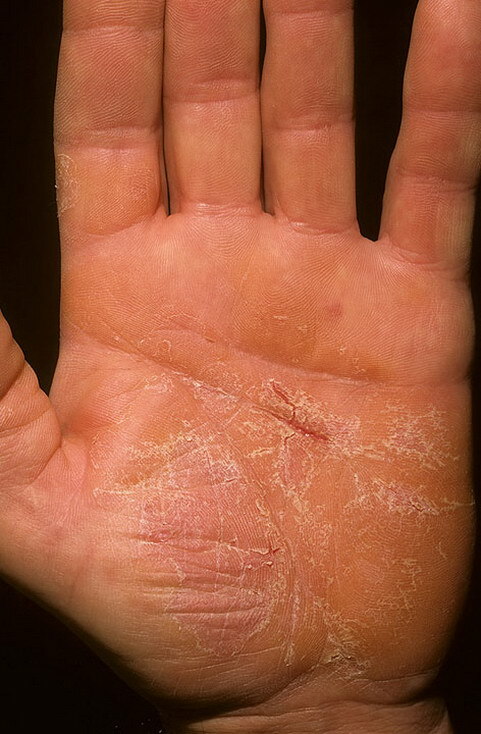 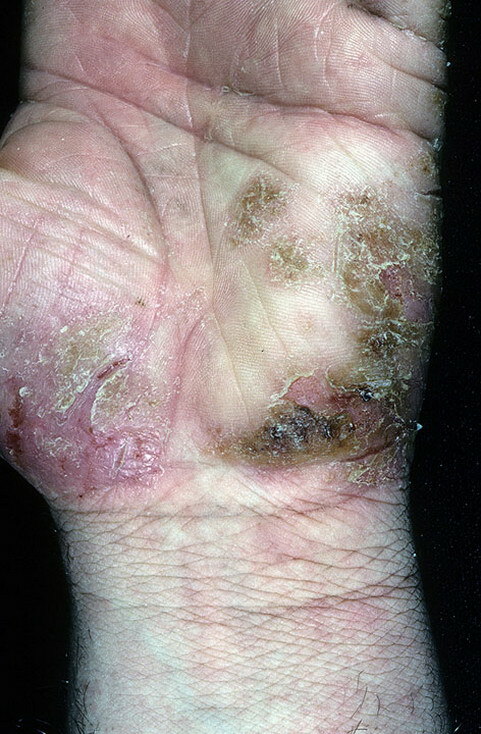 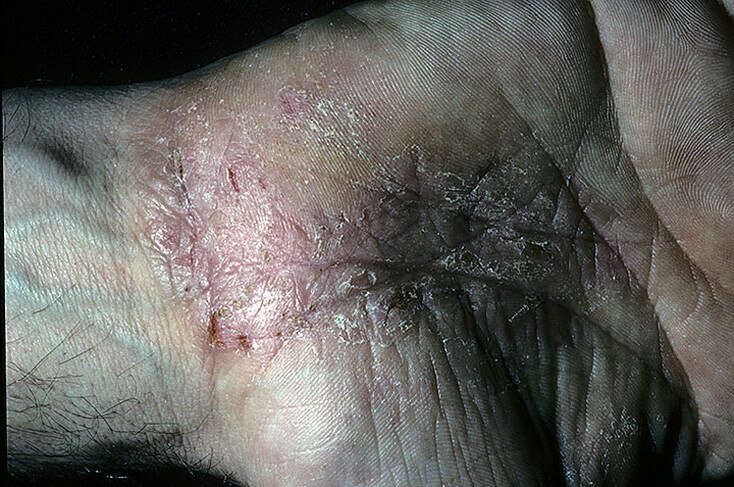 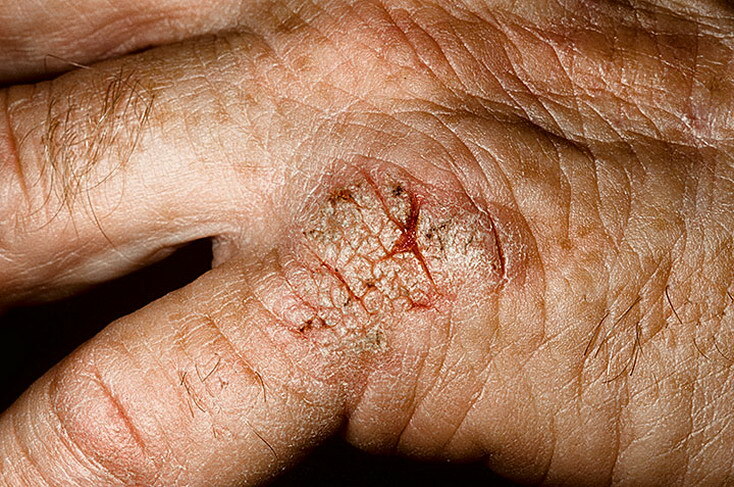 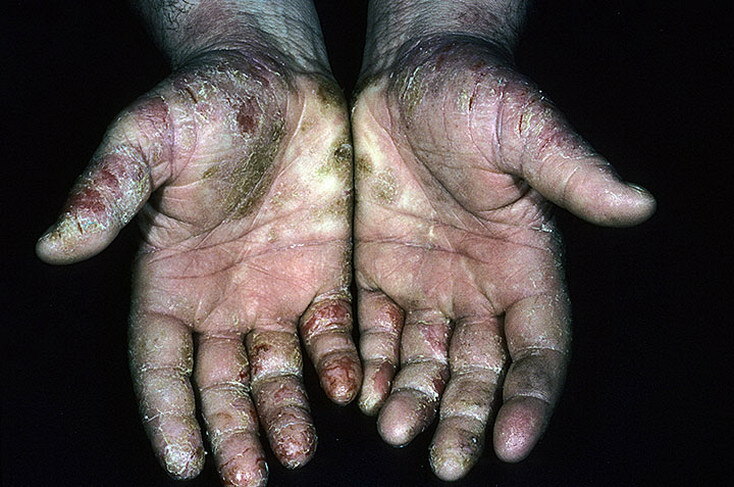 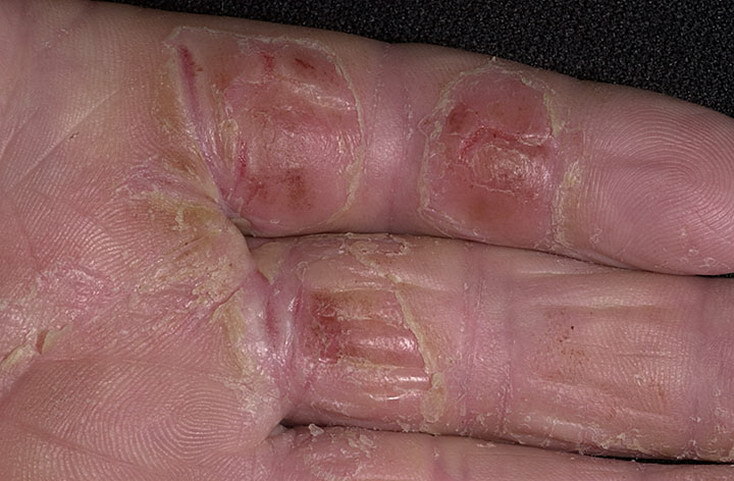 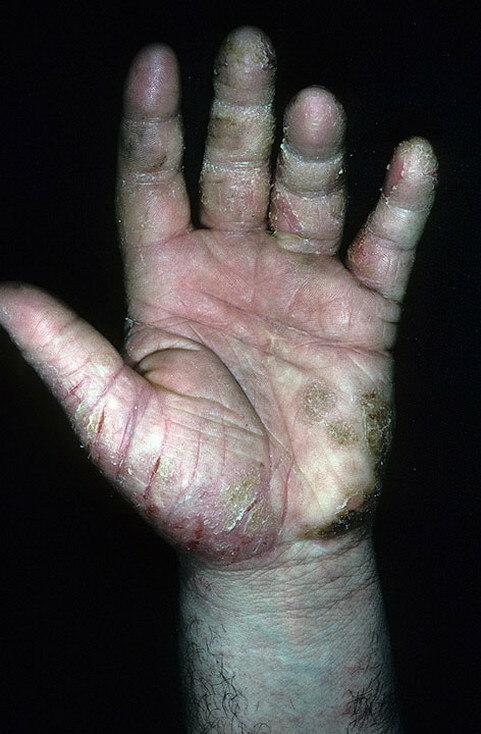 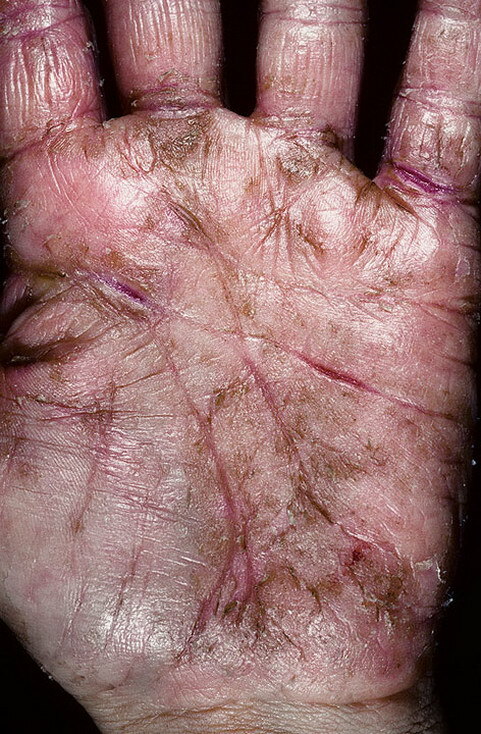 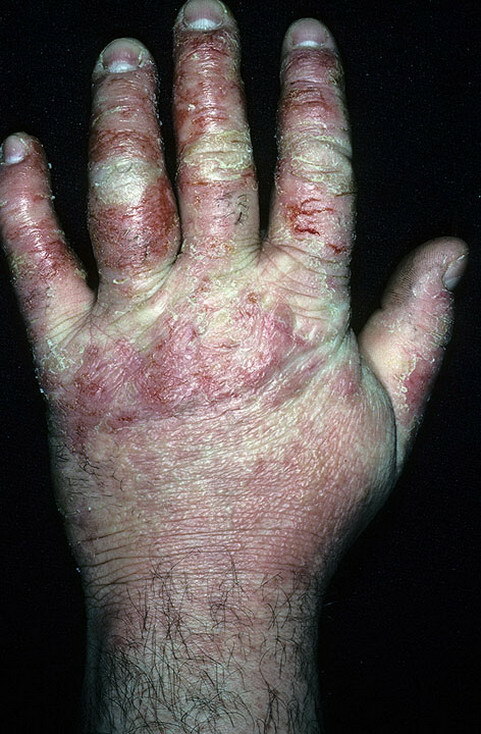 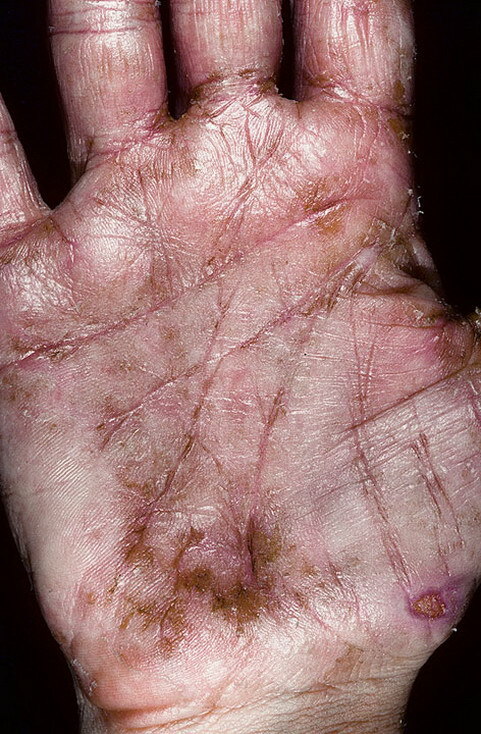 Intensely itchy crops of skin-coloured blisters arise on the palms and the sides of the hands and fingers. 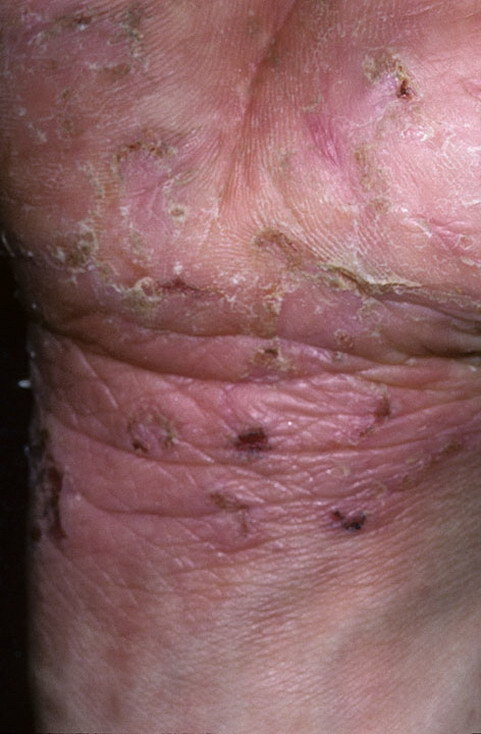 Similar symptoms often affect the feet. 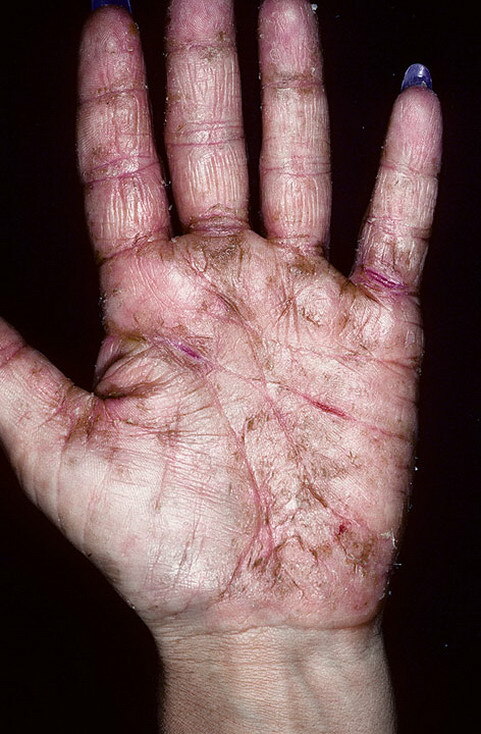 It is likely this form of dermatitis is triggered by emotional stresses via sweating (hyperhidrosis). 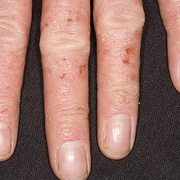 Weeping or oozing eczema is more common in infants, but adults can suffer from it as well. 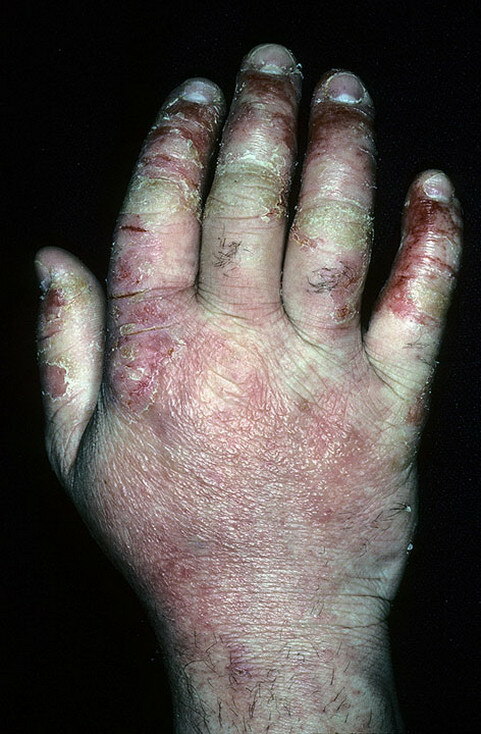 See your doctor if your eczema makes it hard for you to function normally, keeps you from sleeping or if you think it might be infected. 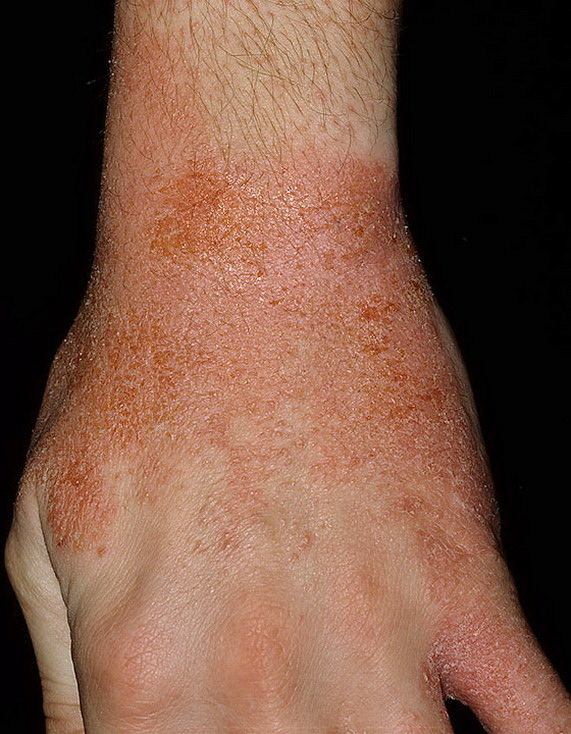 Some people turn to home remedies to soothe and dry up weeping, oozing eczema. 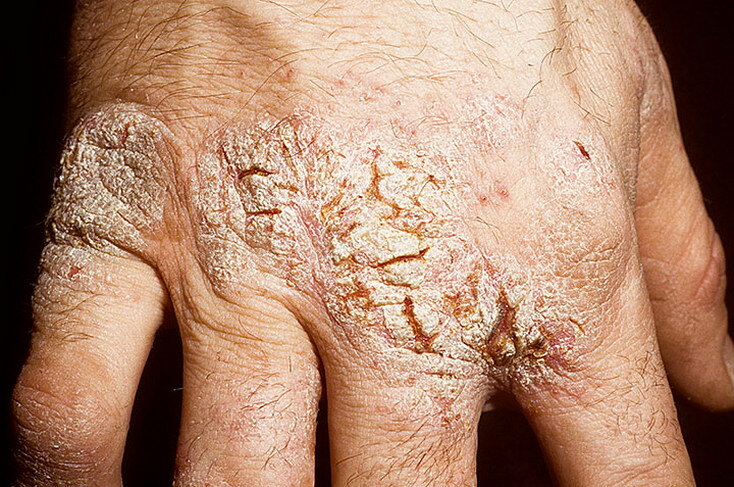 Before trying a home remedy for your weeping eczema, get the OK from your doctor.